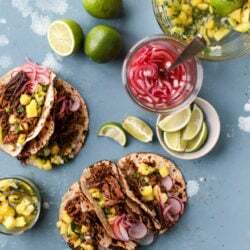 Slow Cooker Barbacoa Beef Tacos with Pickled Onions and Pineapple Pico. 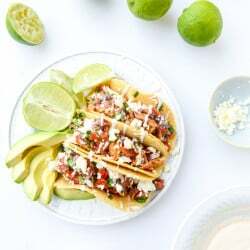 Crispy Zucchini Tacos with Cherry Pepper Crema. Ginger Garlic Steak Tacos with Pineapple Pico de Gallo.